A basis purely in sales makes the UK chart faster-moving than playlist-led equivalents, and more responsive to the pleasures of any niche large enough to hit its thresholds. It’s a combination of that and the BBC’s dominant media position that has made caring about it such a British disease. But its calibrations are fragile – the Top 40 is easily knocked off-course by events. It would take a few more years for the mechanism to appear by which non-pop news and the charts could link up: Lennon’s death was a massive story but also still a pop event, so it was pop which felt its impact most. 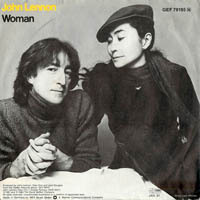 To a fan, the procession of Lennoniana at the top end of the charts was dignified and just. To a kid who’d only just started to fall for pop, it was like the Top 40 was simply broken: week upon week of this hairy guy wandering round a big white house.